Tsuyu-Kusa B&B&D is a little onsen ryokan located in Hirayu Onsen, suburb of Takayama town. There are 8 Japanese style rooms and 3 private natural hot spring bath. One of them is an outdoor roof-top bath. Our building is traditionally structured, wooden house. We have a dorm room too. Ideal not only for families with small children, but couples and groups. Free Wi-Fi available in the hotel building. Just 3 min walk from Hirayu Bus Terminal. 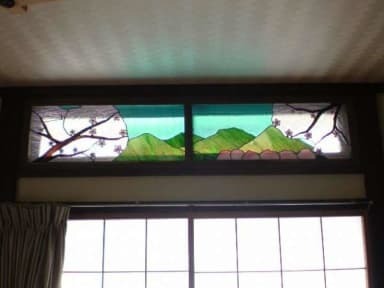 Our place is surrounded by great nature of Hida Takayama. If you want to try out the natural onsen bath within the full of nature, please come and stay with us! There are a few shops and restaurants around our inn. Of course, you can try other bathhouses available for visitors in the Hirayu area. 25min to the famous Kamikochi by bus. 2).Cash payment only upon arrival. 4).Dinner and breakfast can be provided at extra fee. Please order by email in advance upon completion of your booking. Fantastic! Extremely kind couple running the place. No one speaks English but communication was not a problem as they took the time to show us around and have English signs explaining everything. The included breakfast was incredible and the atmosphere was great. My traveling partner and I arrived unexpectedly late and were extremely happy to be able to relax in the baths which are open 24 hr a day. Excellent Stay! 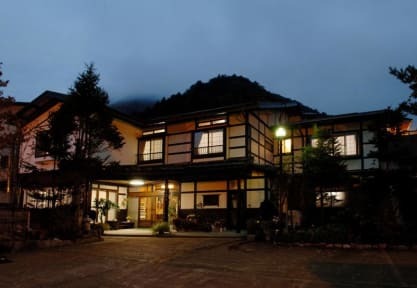 Located right in the heart of Horayu Onsen. Close to everything. Wonderful couple who run the place. They were so sweet to us. They do not speak English. But staying there is so easy, this was not a problem. Their private baths are very nice and easy to enjoy. We stayed there on Dec 1st and had the whole place to ourselves. Almost like a private home. We would love to stay here again. It was a lovely place with a fantastic outside onsen. The scenery is very picturesque and I enjoyed our relaxing stay.